Visiting Rovereto, Italy last month confirmed to me a longstanding theory I’ve had about myself. Guys, I’m quite certain I was Italian in a past life. I mean, I talk a lot with my hands. I’m in a committed relationship with pasta. My patronus is probably a gelato cone…… you get the point. But arriving in Rovereto… that’s when it really hit me. Somehow, visiting this small town (found in Italy’s Trentino province), I managed to feel completely at home, like I was reconnecting with an old friend. It’s hard to explain the charm of this small city, totalling no more than 40,000 people in population. Every winding street seems to tell a story, whether that’s the tale of hardworking families who have honed their craft meticulously for generations, or the legacy of a young musical prodigy who chose this city to perform his first Italian concert (a little fella by the name of Mozart – you may have heard of him). 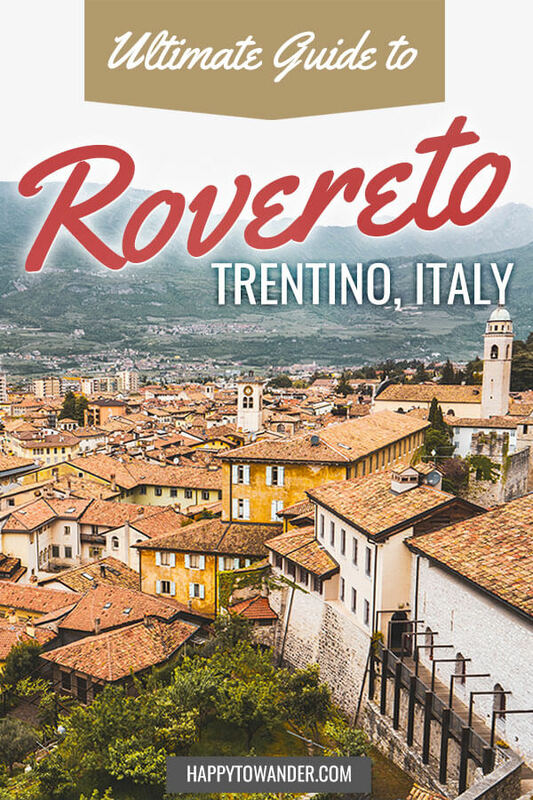 So, if you find yourself in the lucky position of stopping by this incredible city (which many miss out en route to/from Lake Garda), here is a quick guide on all the incredible things you can do in Rovereto, Italy. 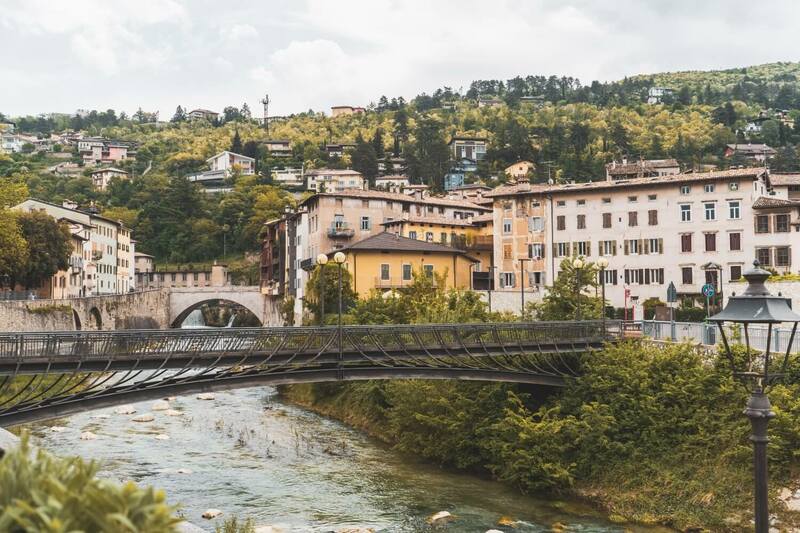 And if you have more time to spare, all the better – be sure to check out more of the surrounding areas in Trentino, which I once boldly proclaimed as the the best part of Italy you haven’t heard of. This post was created in partnership with Visit Trentino, who invited me to spend a long weekend with them last month. The walkability of Rovereto is one of its greatest features. Luckily, every street happens to be drop dead gorgeous, so you’re well rewarded for every step. Perched high above town is the imposing silhouette of Rovereto Castle, a 14th century monument known as being one of history’s best examples of alpine fortification. From its origins as a defensive stronghold, to its stint as a Venetian military fortress, all the way to its status as Habsburg property up until the end of World War I, this historic gem is one well worthy of your time in Rovereto. Since 1921, it has also been home to the Italian History Museum of War, so allow some extra time during your visit for all the displays and exhibitions! The landscape while cycling through this valley was truly gorgeous, with lush green vineyards and towering mountains all the way through… and if you’re worried about difficulty, let me say this: truly, if I could do it, anyone can. And sure, while I did leave my jacket behind on this route (oops), I managed for once to not also leave behind my dignity, which cannot be said for my usual attempts at physical activity. tl;dr – Trentino cycle paths: Christina-tested and approved. If you’ve never heard of the Futurist art movement, then you’re probably not alone. My first brush with this edgy art style was during my visit at MART, Rovereto’s museum of modern and contemporary art. The bold colours and sharp lines of a futurist painting caught my eye from afar, and my eyes almost bulged out of my face when I saw that it was painted in the 20s. 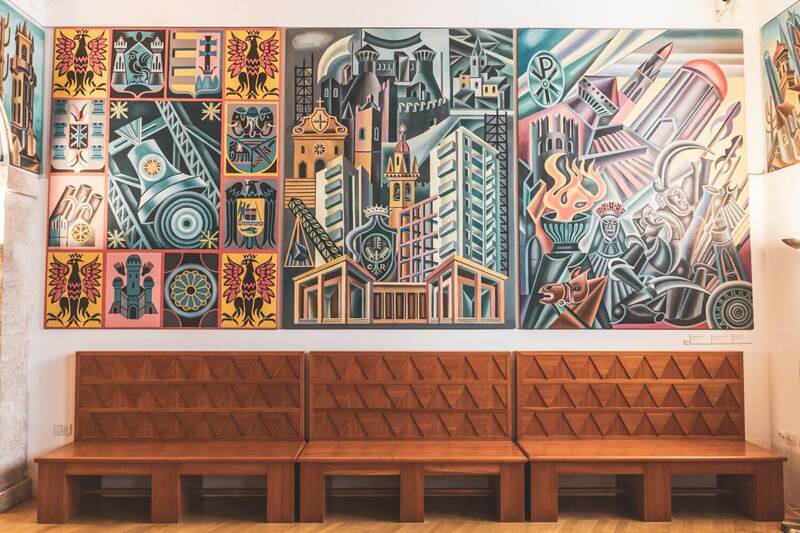 Because one of the most famous Futurist painters, Fortunato Depero, grew up here in Rovereto, the ties between this art style and the city are very strong, and there’s no place better to learn more about this artistic movement. MART, the Museum of Modern and Contemporary Art of Trento and Rovereto: A beautifully designed building with lots of futurist works and other pieces too. My personal favourite was the modern collection on the top floor, full of unique, strange and intriguing art installations. The Casa d’Arte Futurista Depero: Over 3000 objects decorate this museum dedicated to futurism (the only one of its kind in Italy). Designed by Fortunato Depero himself, this museum contains plenty of original works, tapestries, unique furnishings, drawings, paintings, posters and even puppets. Fun fact: in Rovereto is where you’ll find one of the most moving tributes to peace in the world. … and it also happens to be the largest bell of its kind in the world. 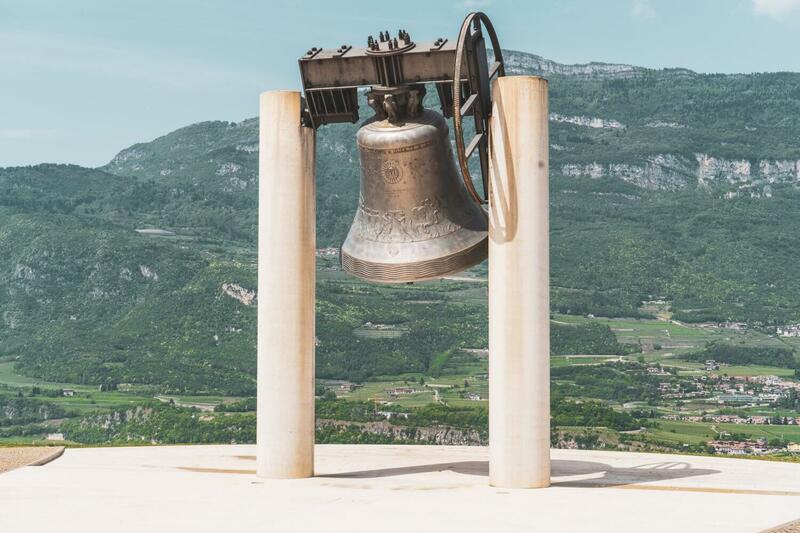 The Bell of Peace (officially named the Bell of the Fallen, or Maria Dolens) is a giant bell that sits high above Rovereto. Made from melted down cannons donated by countries who fought in WWI, it rings everyday as a solemn and beautiful reminder of the importance of peace. If you can make it up there in time for the daily ringing in the evening (or at noon on Sundays), you must. It’s a really moving experience, and there’s even a big seating area created for spectators. A line of flags from all around the world line the walkway towards the bell, and there’s a lovely little walkthrough exhibition in the adjacent park detailing the history of the bell and important events. Well worth a stop. Sooo, maybe you’ve heard of Mozart? He’s a little famous. 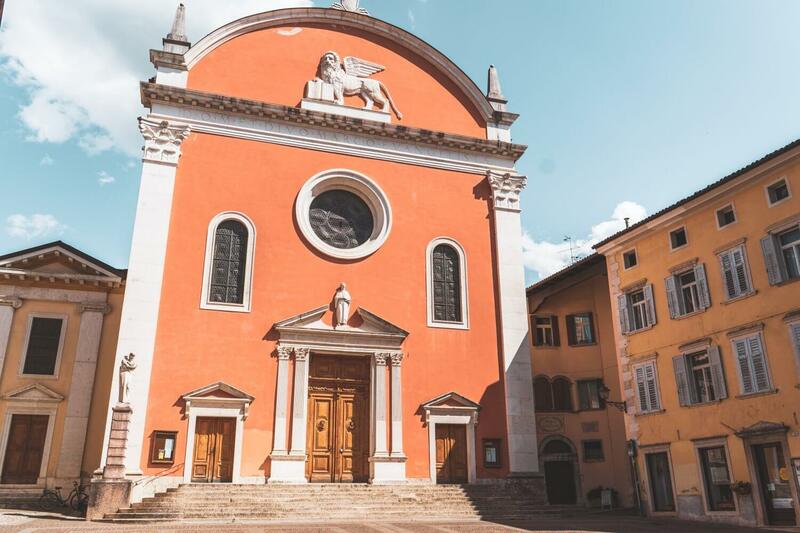 Mozart’s connection to Trentino is well documented. I mean, he even gave the region’s famous Marzemino wine a little shout-out in one of his operas. But, what’s especially cool is that Rovereto is where young Mozart began his touring career in Italy. Both his first public and private concerts in the country were held in this very city. So, where can you stalk these historic places? I don’t need to tell you this: Italians know their wine. They could probably make excellent wine while asleep, and Rovereto is no exception to this rule. 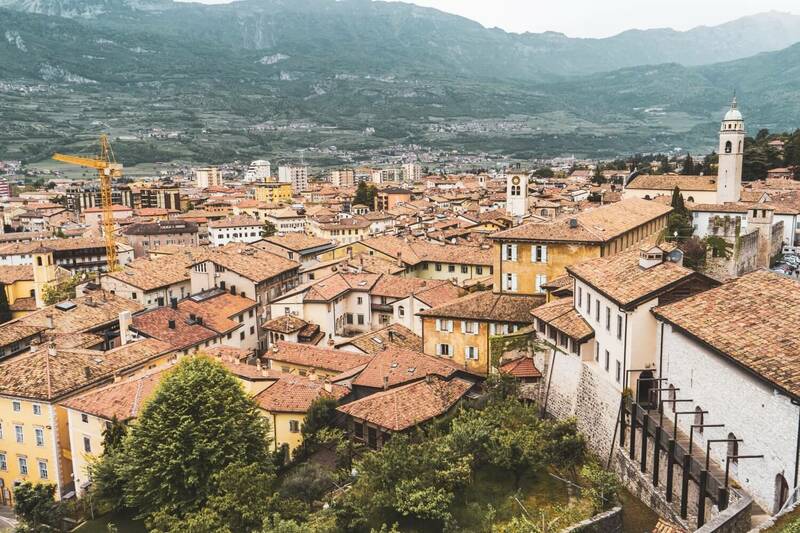 Luckily for wine aficionados (or simply wine-crazed drunkies like me), Rovereto is surrounded by amazing vineyards, which means tons of excellent wine and opportunities for tastings/tours. 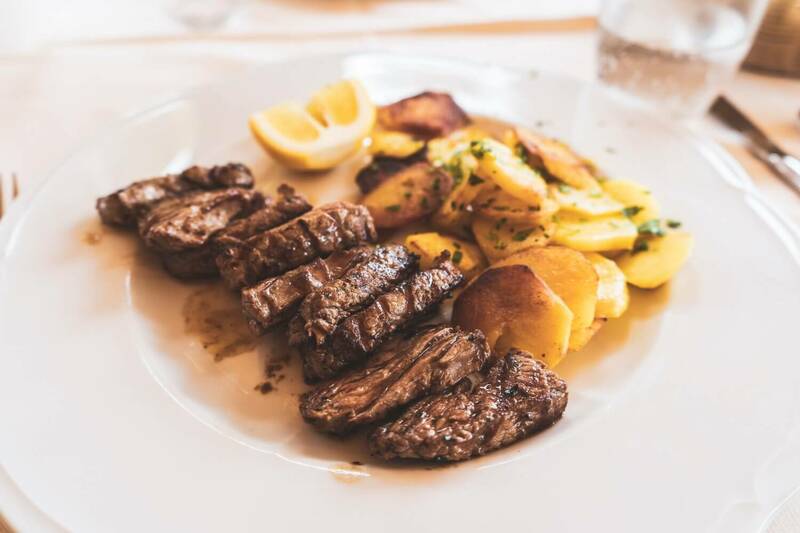 Il Doge: An atmospheric little restaurant in the heart of Old Town, serving up delicious local dishes with a side of sweltering romance. 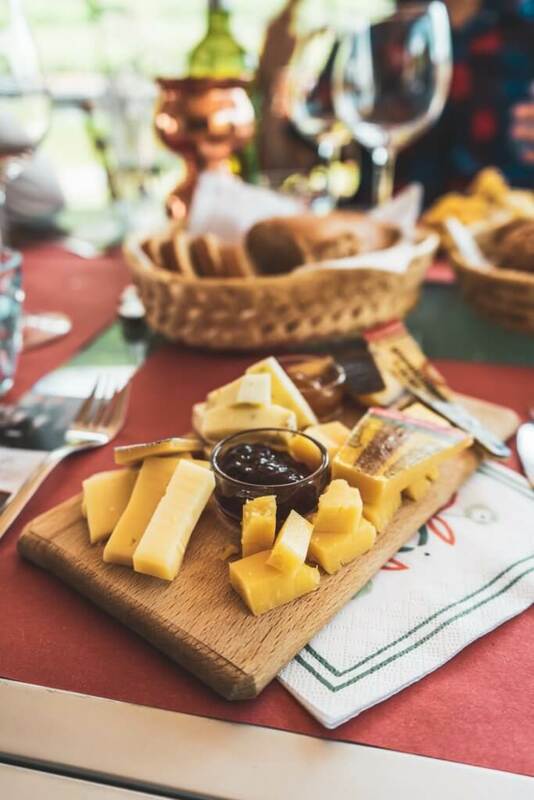 Ristorante la Terrazza Sul Leno: This bright, friendly restaurant has an extensive menu of pizza and Mediterranean cuisine, but its main selling point is an airy terrace, perched just along the Leno river with amazing views to accompany your meal. Locanda D&D Maso Sasso: Freshly prepared local cuisine – at times with a twist (I had a vegetable strudel, which was incredible) all paired with an extensive wine list and one of the most beautiful views. While this restaurant is technically outside of Rovereto, it’s only a 5 minute drive, and trust me: well worth the visit. Last but not least, in the heart of Rovereto is where you’ll find Torrefazione Bontadi, the oldest (still operational) coffee roaster in the entire country. 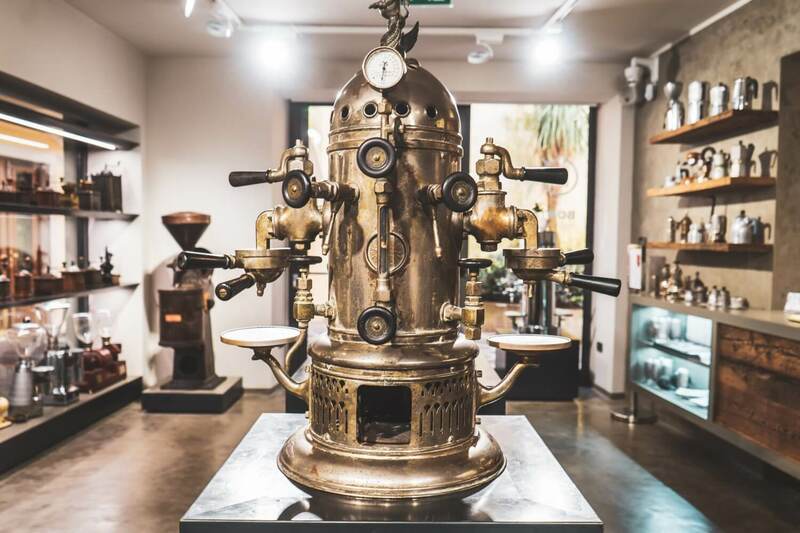 More impressive than its longstanding operation though is its newly launched Coffee Museum CoBo, a beautifully-presented collection of coffee makers and other coffee paraphernalia that will whisk you back in time through a visual history of Italy’s favourite caffeine fix. The best part? The museum is totally free! B&B Vista Castello: This is the bed and breakfast I stayed at while in Rovereto, and despite being a small, newly-established family-run property, it boasts one of the most sought-after pieces of real estate in Rovereto, with a stunning, unobstructed view of Rovereto Castle from the garden. Rovereto Castle: With its strategic location high above town, excellent views are (naturally) guaranteed at Rovereto Castle. 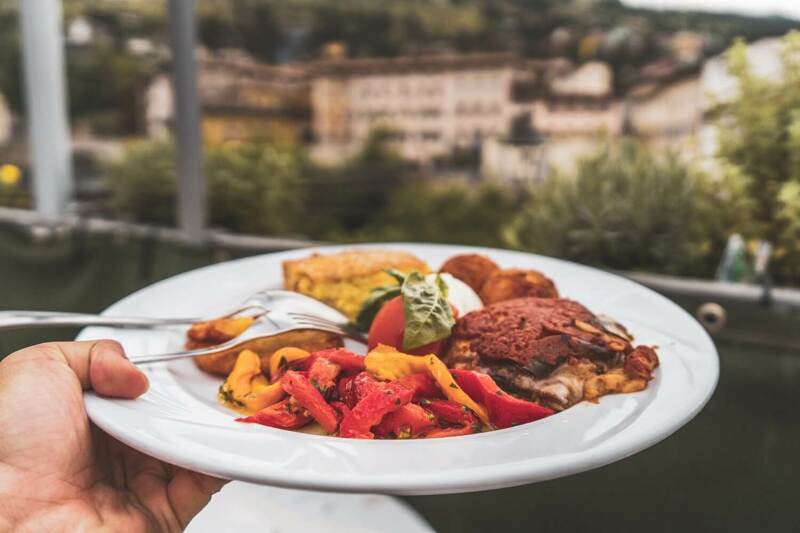 Ristorante la Terrazza Sul Leno: I mean, it’s literally in the name, but the terrace here overlooks the Leno river and the views are a must-see, especially when accompanied by a delicious lunch. Lastly, if you’re looking for a place to stay in Rovereto, I highly recommend B&B Vista Castello. I think staying here was one of the main contributing factors for why Rovereto felt so much like home. This family-run bed and breakfast is the closest it gets to being adopted by an actual Italian family. The rooms are homey and charming, filled with little details like family photos and old stuffed animals. 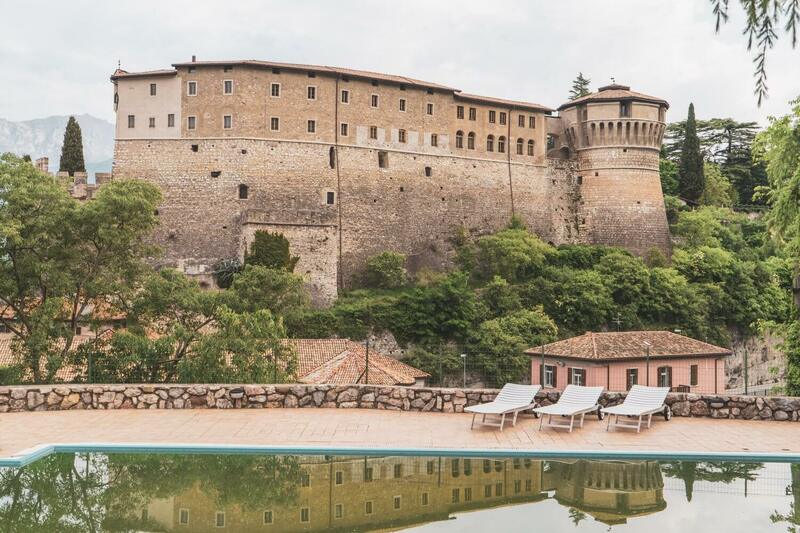 The major selling point is of course the massive garden, complete with a nice pool and sweeping views over Rovereto Castle. 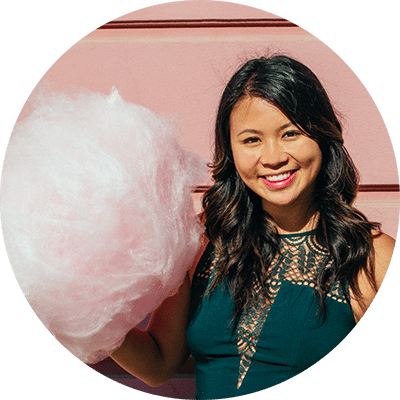 If you’re craving an authentic, home-like experience (rather than a typical, amenity-decked hotel), then this is your place. And while the owners don’t speak any English at all, their hospitality, warmth and kindness more than makes up for it (along with the massive breakfast spread, which could adequately feed an entire village). True story: Rosaria (my in-house adopted nonna) even sent me home with a portion of her homemade focaccia which I eagerly devoured every morning, alongside a little package of homemade cookies. Apparently, the one thing that defies language barriers is my bottomless appetite. With a kiss goodbye so firm that it (no lie) make me temporarily deaf for about two seconds, I went home with the intention of learning Italian and coming back someday to impress her. Guys, if that’s not a glowing review, I don’t know what is! 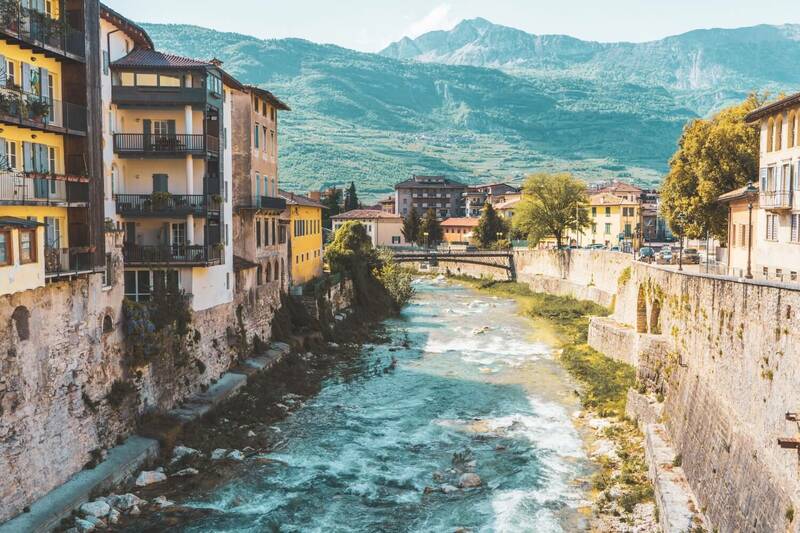 And so, I hope you enjoyed that brief guide to beautiful Rovereto, Italy! Have you ever been? Or plan to go? 😉 Let me know in the comments! Number 8 is my favourite thing about every place in Italy! I second #8! And the view from the Forbato bridge – allllll the heart eyes!